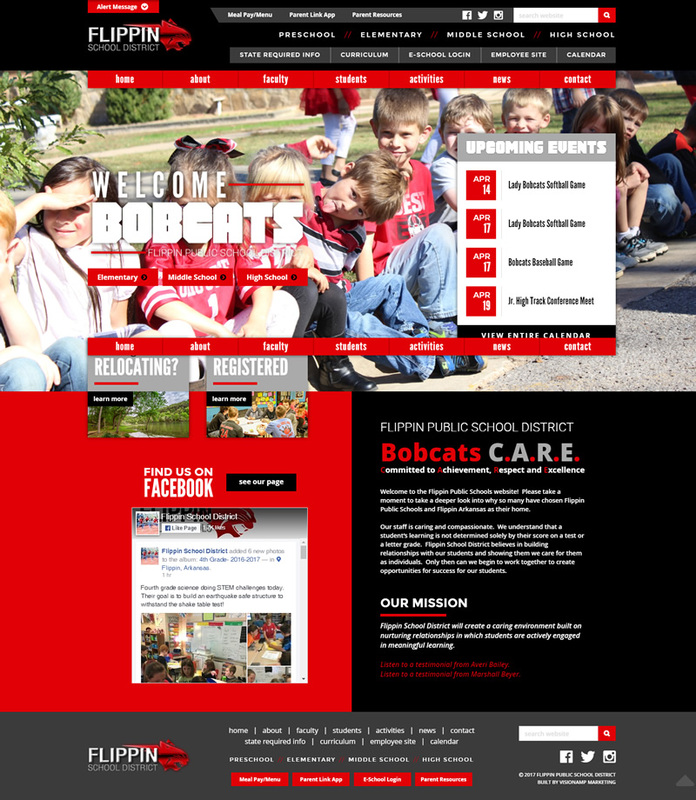 The Flippin School District needed a responsive and mobile-friendly website rebuild. For this site, we also created designated pages for each campus within the district in order to separate the content so that parents and visitors to the site could find the information they needed quickly. The Flippin Public School District has a goal to provide a caring environment built on nurturing relationships in which students are actively engaged in meaningful learning. The district provides quality education from pre-school to 12th Grade.